The majority of Internet users consider each URL as a website. The thing is that many of these sites are not sites at all. They are web apps. For the end user, all these terms don't matter. But they matter to you and your business when you contact a development agency and try to explain what you actually need. Another reason to learn the difference between web app and website is the future of your business. If you want to use your software for a long time, develop and improve it, you should also understand how to do this in a case of web app and website. That is why we decided to dot the t's and cross the i's and finally find out what are the key difference between a website and web application and what type of software will fit your project requirements better. Before we compare the notions of website and web application, let's find out what each of them means and what set of peculiarities they have. A website is a static page on the Internet which isn't very functional. Its main purpose is to provide an end user with some particular information. Users in most cases do nothing but read (or watch or listen to) the information which a website contains. The brightest examples of typical websites are news, recipes, weather, blog portals. The main idea of this type of software is that a customer has little or no interaction with the program. For instance, on the news website, you can choose news section. Another example is a subscription form which can also be present on a site. But nothing more. A user doesn't input any information to a website. If you want to see a real-life example, visit our website The Match Player. The full project includes an iOS and Android application and a landing page where you can read about it. 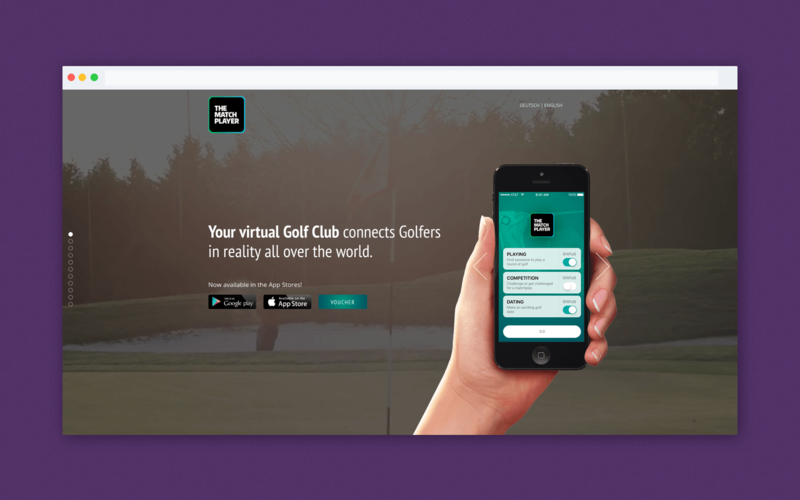 The Match Player is a program where users can create accounts and look for competitors for a golf match. Apart from that, there's also a dating part with a chat, where everyone finds a date. The comprehensive review of the Match Player app you can find in our blog. A web app is an interactive page. It allows users to input, get and manipulate data in different ways with the help of interaction. Such software programs usually have a very tight connection with the server and send lots of requests to it. If you need a clue of what a web app is, think about an online content editor, which processes users' files. Another example is a social network. Here users can communicate, share content, post news and so on. It's a web app too. Cleveroad has created lots of web apps. One of the most recent is a Shirt App project. 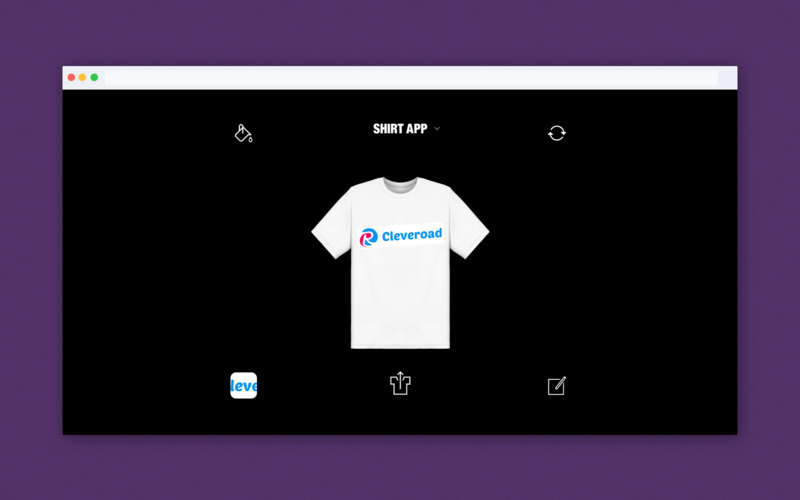 Shirt App is a web-based application where anyone can create a custom design of a T-shirt for himself or for a present and order it. 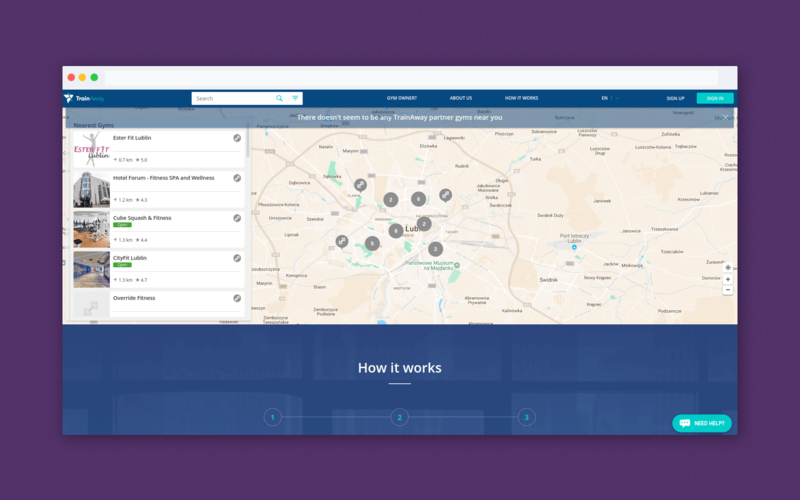 Another great example of a web application that we've created is a Train Away project. The full scope of work included an IOS and Android app development plus a web application. The project helps people all around the world find a plate for trainings with the needed facilities. The program also allows users to pay for a visit or to buy one-week or monthly subscription. Read the interview with Train Away owners in our article and find out what other features this huge gym directory app has. As a matter of fact, nowadays, we see that these notions integrate into each other and it makes even more difficult to identify the website and web application difference. Some web apps can work as a website until you log in or buy a premium account. To make it easier, we'll try to follow the generally accepted classification in this particular article. Now you know what is the difference between website and web application in their functionality and complexity. Therefore, let's compare the technologies which are needed to build them and their cost, as a consequence. Below, you can find the description of the technologies which we mainly use to create website or web application. If we are talking about a classical website with a very few features, like a landing page, we usually use various Content Management Systems for these purposes. Of course, we can use HTML and CSS and create a custom design. Still, it's much easier to choose one of Tilda or Bootstrap themes. The average time for such a development usually takes about 20 - 40 hours. Learn more how a landing page can help you with an app promotion! It's worth mentioning that our company doesn't create such simple websites as a standalone project. We create them to promote our main products - mobile applications or fully-functioning web apps. Tip. Frankly speaking, if you really need such a simple product, you can create it by yourself. The modern CMS platforms don't require any technical knowledge from you. So you can create your website without a line of code. Try to do it by yourself! There also could be bigger website projects with complex navigation and multiple pages. Like a blog, company website and so on. The number of hours needed for its building depends on the complexity and size of the project. If you want to know how much it costs to create a website by types, you should read our article. There you can also find out what hidden expenses concerning website development you may not know about and how to make your project even more effective. The development of a web-based application usually takes much more time, more sophisticated tools and deep knowledge. To create a front-end part of a product, we usually use AngularJS or ReactJS frameworks. For the back-end part, we apply Node.JS, .Net or PHP. We should note, that these are not the only technologies suitable for such tasks. We named the tools which we use on a daily basis to keep the speed and quality of our development process on a high level. Need to estimate your app idea? Here's a fast and free app cost calculator for you! Tip. It's obvious that such development costs more than the one with a simple landing page or blog. But don't try to save money by hiring the cheapest freelancer. If your business relies on this project and you want to expand and improve it in the future you should hire a professional developer or a team that will build your app elaborating the architecture and taking all the detail into consideration. And don't forget to make your web app or website mobile friendly! Did you know that Google lowers the rate of the mobile non-friendly websites and web apps? If you want your site or app to be on the top all the time, don't forget to include this requirement when you are hiring a development agency! Now, let's figure out how to choose between web application or website project and find the best variant for your company and business strategy and consider the topics you need to analyze before the development stage starts. The first thing you need to think about is the level of interaction your customers will get with your product. If they will use only the data you provide your web resource with, then you need a website. 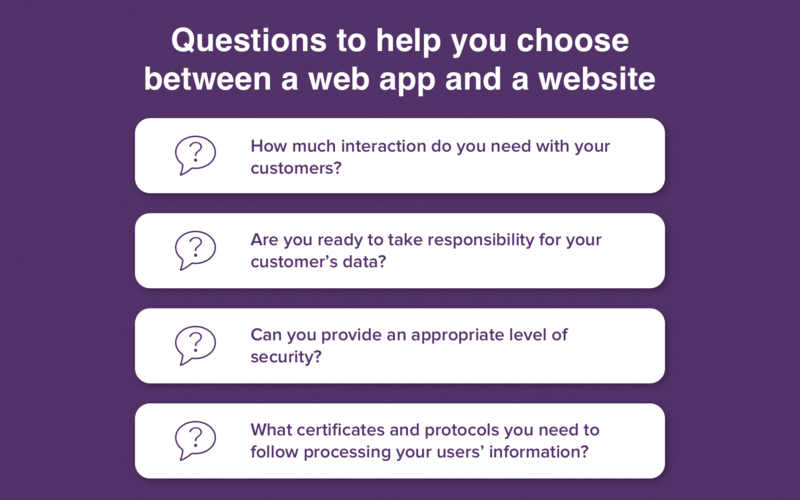 In a case, your customers would need to push and pull data from a server, then you need a web app. The biggest issue here is to think upfront. If you are planning to launch a small startup, you may think that a single web page would be enough for you. The thing is that your products, whether it's a website or a web app, should grow as your startup do. This phase requires some calculation from you and precise planning. Yet, all these efforts allow your development team to think the architecture of a product through. In such a way, you'll never face an issue of scaling when your site or web app fails because of a high load. This is a very important issue to think about when you are developing a web app. This type of a product implies personal users' data processing. And your task here is to inform customers of that. In a case your web app needs to operate various passwords, banking data or personal credentials, you have to assure your users that your portal is trustworthy and think about a security issue, which is the next stop in our list. Once users entrusted you their data, it's your headache to protect it and provide your customers with the highest level of security. Now, you have to think about the nature of the users' data your portal is going to deal with. Bank accounts, credit card numbers and various passwords attract and provoke hackers. So, it's very important to inform your development team of potential risks. When a great business or startup idea comes to your mind you may not think or even know about various certificates and protocols which you need to follow while processing users' information. The most important document, nowadays, is General Data Protection Regulation which came into force in May 2018. This is a set of rules which form your security and data protection policy. Companies, which abuse or ignore this Regulation will have to pay up to 4% of their annual turnover. Read more about all the rules and how to prepare your business and become GDPR compliant in our article. Apart from this regulation, there are many others in each particular sphere. For instance, Health Insurance Portability and Accountability Act, or simply HIPAA. HIPAA is an act which regulates data storage and processing issues in the medical sphere. If you are developing a web app to handle customers' medical records, you'll have to make it HIPAA compliant. Tip. Try to find out what protocols and certificates are there in a sphere you want to work in and inform a development team about them. If the development company is experienced enough, they would know about these acts and can advise you how to follow them and how they influence the development of your product. As a bottom line, we need to emphasize that the choice of a software type will have a significant influence on your business and its future. That is why it's very important to set priorities and have a deep understanding of what way you want your business or a startup to grow and develop. So if you want to order website and web application development, contact our managers and tell us about your project, we have lots of experience to help you!